The USG-PRO-4 with four Gigabit Ethernet ports and two SFP ports, the USG-PRO-4 Enterprise Gateway Router with 2 Combination SFP/RJ-45 Ports from Ubiquiti Networks is designed to be the backbone of a network. 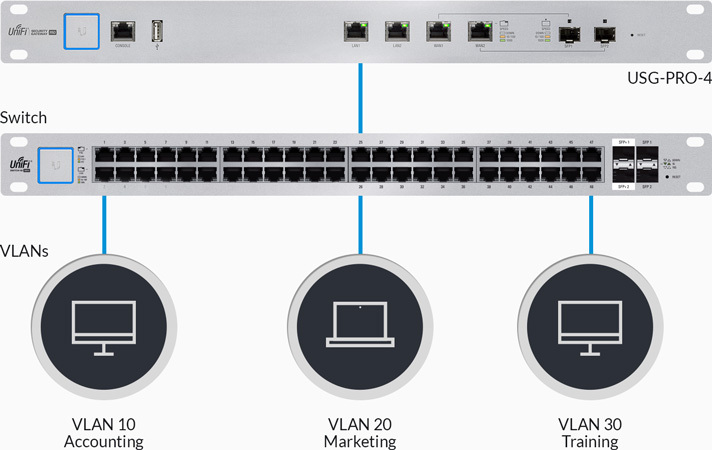 This gateway is designed to support multiple network switches which in turn can support a variety of networked devices such as access points, management stations, VoIP devices, and much more. The integrated SFP combination ports make it simple to connect fiber channel devices such as SAN servers and other local area networked devices. 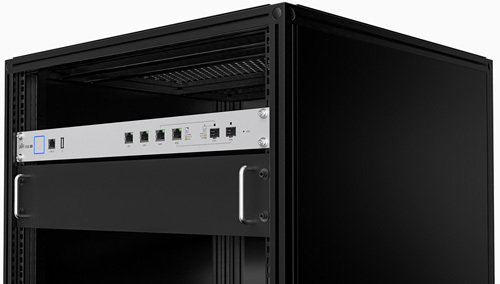 On the back of this rackmountable gateway you will find a single RJ-45 serial console port for command line interface management, two LAN ports, two WAN ports, and two SFP combination ports offering a diverse set of connection options.